LADIES and gentlemen... start your engines!! If you're from Indy you know what this means. 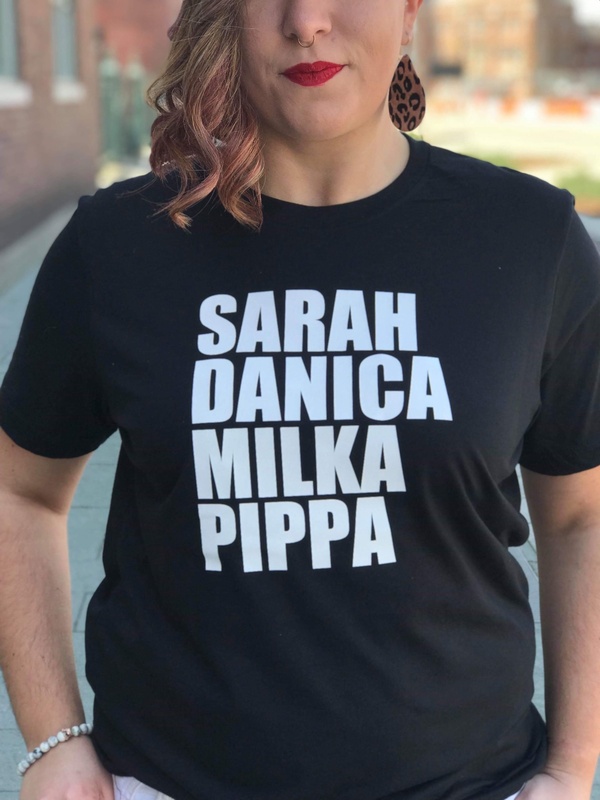 The Indianapolis 500 is the largest single day sporting event in the world and with this locally designed and printed tee by Rachel Rene Designs we are celebrating some of the ladies who have made history and raced the 500 miles around the Indy Car track in Speedway, Indiana. The tee is a black unisex tee with white print. It's a soft cotton/poly blend.